The tablet wars are heating up as rivals such as Motorola, BlackBerry, and HP are all gunning for a piece of the pie currently monopolized by the Apple iPad. But, all of these tablets have one thing in common--a heftier price tag. What if you want the benefits of a tablet without having to spend $500 plus to get it? The Motorola Xoom hit the streets today. It is the first tablet built on the Android 3.0 "Honeycomb" OS which is developed specifically with tablets in mind, and looks like it could be a formidable rival for the iPad. Meanwhile, Apple has an event slated for next week where it is expected to reveal details of the impending iPad 2. However, the Xoom will set you back $800--or $600 if you subsidize with a two-year Verizon contract, and the iPads start out at $500 (no word yet on iPad 2 pricing). That may be OK, for some people, but not everyone has a spare $500 to $1000 laying around. If you're part of that "not everyone" group, you're in luck. As crowded as the tablet market is predicted to get at the top, there are actually many more tablet options available at the bottom of the pyramid. One site lists 19 different tablets all under $250, with a couple as low as $89. The burning question then is--do they work? The answer to that question is a resounding "sort of". Or, perhaps an "it depends". To some extent, the old maxim of "you get what you pay for" holds true, but the reality is that with some due diligence you might just find a tablet under $250 that will work for you. However, with cheaper tablets there is much more risk and a sense of caveat emptor--buyer beware. You can be pretty sure that Apple, Motorola and the like will honor warranties and take care of issues. I'm not sure that Eken, or Apad evokes the same sense of confidence. I had an opportunity to work with one of these cheaper iPad alternatives. The CherryPad, from CherryPal, is a 7-inch Android 2.1 tablet that retails around $190. It has an 800MHz processor, 256MB of memory, and 2GB of built-in flash storage (plus an SD card slot for an additional 16GB). The display itself is only 800 by 480 resolution, but it has the ability to play 1080p HD video. All in all, I would say that the CherryPad works as advertised. Its speed, touch sensitivity, and display quality all pale in comparison to higher end tablets like the iPad, but that is what you get for less than $200. The problem with the CherryPad is that it ran afoul of Google and is unable to connect to the Android Market. So, it works just fine as a tablet, but with no ability to add apps and content. At least you can sync up some music from your PC and use it as a giant MP3 player. Still, if CherryPal develops an update for this that allows it to connect to the Android Market, I would have no issues recommending it as a cheap tablet alternative. 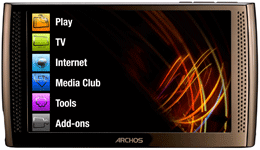 If you want something cheaper than an iPad or Xoom, but a little more reputable and reliable, look at devices like the Archos 7 8GB tablet, or the Dell Streak 7--which costs $450 full price, but is available from T-Mobile at $200 with a two-year contract. The bottom line is that you don't have to spend $500, $600, $800, or more to get in on the tablet revolution. You just have to work harder to find a decent tablet at a cheaper price, and you need to come to terms with the fact that there are some tradeoffs in performance and functionality when you bargain shop.